Chamber On The Mountain concert on Sunday, December 3rd, 2017. The Arianna Quartet has appeared throughout North America, South America, Europe and Asia, with frequent visits to Brazil and South Africa. They have collaborated with many of the world’s finest musicians, including members of the Vermeer, Tokyo, Cleveland and Juilliard Quartets, and their live performances have been heard on National Public Radio’s “Performance Today,” and “Live from Music Mountain”, which broadcasts to 125 stations in the U.S. and to 35 countries. The ASQ has recorded for Albany Records and Urtext Digital Classics, and has a long-term contract with Centaur Records. Their most recent release of the two string quartets of Janácek, which has already received critical acclaim, is now available. (“These performances of the Arianna String Quartet demonstrate how technical excellence, in alliance with imagination and the human heart, can come to create something truly transcendent.” – Fanfare Magazine). Celebrating their 25th Season, highlights for 2016-17 also include return trips to Brazil, for the FEMUSC Festival in Jaragua do Sul, a concert tour to Berlin, Germany, live performances on Chicago’s WFMT radio, returns to the Madeline Island Music Camp (WI) and Credo Festival, the completion of their recordings of the complete quartets of Beethoven for Centaur Records, and concerts throughout the United States. 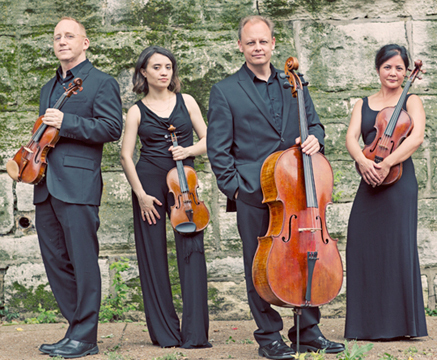 The ASQ also looks forward to the continuation of the Arianna Chamber Music Festival, in St. Louis, where they have been full-time faculty at the University of Missouri-St. Louis since 2000. 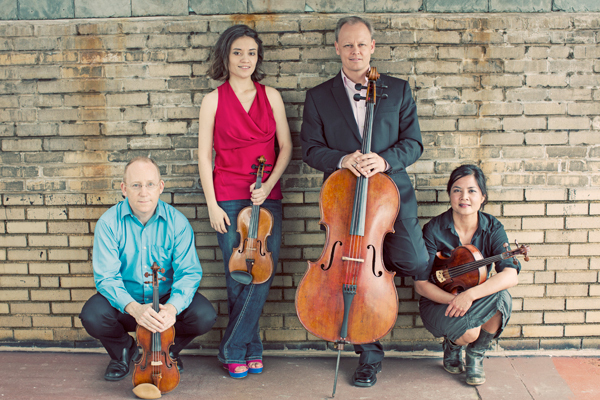 The Arianna Quartet is Ensemble-in-Residence at the Touhill Performing Arts Center in St. Louis, where they present their own series of concerts. Audiences and critics have acclaimed Michele Levin, pianist and composer, as a multi-faceted musician of extraordinary sensitivity, virtuosity, and dedication to the art of making music. Ms. Levin is a graduate of the Curtis Institute of Music with a double major in piano and composition. She began her studies there at the age of eleven and is the first woman to receive their Master’s degree in Composition. The Johann Sebastian Bach International Piano Competition in Washington DC awarded her First Prize in competition with pianists from fourteen countries. Ms. Levin has performed as a soloist with the Philadelphia Orchestra, Boston Pops, Florida Philharmonic, Miami Chamber Symphony, Sinfonia Virtuosi, New World Symphony, Albany Symphony, and Virginia Symphony. She has also given solo and chamber music recitals in major cities throughout the US, Canada, Europe, Asia, and Central and South America. Ms. Levin is very much in demand as a chamber musician, touring the world with violinists Peter Zazofsky, Joseph Silverstein, Ruggerio Ricci, Nina Beilina, Daniel Phillips, Mark Kaplan, Donald Weilerstein, Sydney Harth, Ik-Hwan Bae, Ida Levin, Maria Bachman, Arve Tellefson, Andrew Dawes, Lin Chang, and Yehonaton Berick; with violists Rivka Golani, Paul Neubauer, Atar Arad, Kirsten Johnson, Rainer Moog, and Jessie Levine; and with cellists Yehuda Hanani, Simca Heled, Ronald Thomas, and Wolfgang Boettcher. She has performed with clarinetists Mitchell Lurie, Alexander Fiterstein, Eli Eban, and Charles Neidich; with harpist Heidi Lehwalder; and with flutists Thomas Wolf, Carol Wincenc, and Eugenia Zuckerman. 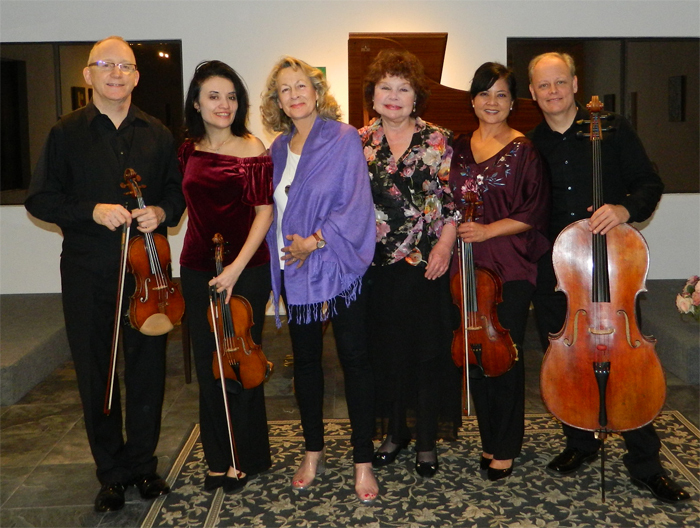 Ms. Levin tours regularly with the Muir String Quartet and as a guest artist with the Miami String Quartet. In 2007, the Muir Quartet premiered her String Quartet No. 1, which she dedicated to the quartet. Her vast repertoire extends into the realm of vocal music, having given recitals with Metropolitan Opera vocalists Gwendolyn Bradley, Marvis Martin, Martina Arroyo, D’Anna Fortunato, Carol Farley, Lucy Shelton, and William Sharp. 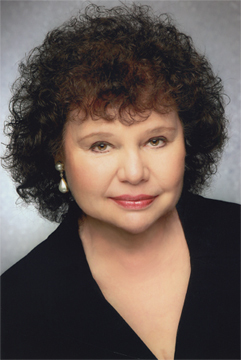 Ms. Levin records for Koch International, EcoClassics, Altarus, and the Canadian Broadcasting Companies. NPR regularly broadcasts her performances nationwide. Hailed by the Boston Globe as “first class, with a robust sound and technique that seems to come from the center of the person” John McGrosso has been the first violinist of the Arianna String Quartet since 1998. He has been featured as a soloist with the Chicago Symphony and the St. Louis Symphony Orchestra, and has performed in recital to critical acclaim throughout the United States. During seven years as a member of the St. Louis Symphony Orchestra’s first violin section, Mr. McGrosso performed frequently in the orchestra’s “Chamber Music St. Louis,” and “Discovery,” series, and originated the popular “On the Stage” series of unique audience engagement evenings. 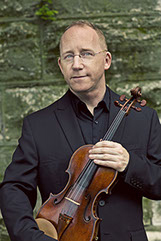 He has taught on the faculties of Illinois Wesleyan University, the University of Missouri-Columbia, and Eastern Michigan Univer- sity, and is currently an Associate Professor of Violin at the University of Missouri-St. Louis, where the Arianna Quartet is tenured and has been in residence since 2000. 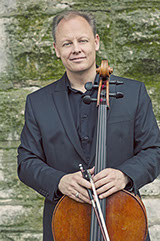 As a member of the Arianna Quartet,he has collaborated with artists such as James Campbell, Gilbert Kalish, Bernard Greenhouse, Richard Stoltzman, and members of the Tokyo, Vermeer, and Juilliard Quartets, and been on the summer faculties of the Britt Institute, Madeline Island, and Music at Port Milford. Mr. McGrosso received his bachelors and masters degrees from Juilliard, and holds a Performer’s Certificate from Northern Illinois University. He also attended the Aspen Music Festival, the Steans Young Artist Program at Ravinia, and the Quartet Programme in Aldeburgh, England. His violin teachers have included Dorothy Delay, Shmuel Ashkenasi, Joyce Robbins, Joel Smirnoff, and Gerald Beal, and he has studied chamber music with members of the Juilliard, Tokyo, LaSalle, and Vermeer Quartets. In addition to the Arianna String Quartet’s ongoing recording project with Centaur of the entire Beethoven Cycle, Ms. Sakharova was featured on Rachmaninoff's Elegiaque Piano Trios (Tavros Records) and on the recent 2014 release of Sean Hickey’s Cursive – Piano and Chamber Works (Delos). Mr. Hickey dedicated Ampersand, a work for violin and piano, to Ms. Sakharova, which she debuted at a 2006 Steinway Hall recital. A variety of other performances have also been featured in radio broadcasts on WQXR's “Young Artists Showcase,” KMZT's “Sundays Live”, Cleveland's WCLV, and on St. Louis’ KWMU. Ms. Sakharova's film score credits include Mimzy, The Perfect Stranger, and The Brave One. Her competition credits include first prize at the International Competition for the Music of Eastern & Central Europe, Top Prize at the Olga Koussevitzky Competition for Strings, a top prize at the Jeunesses Musicales Montreal International Competition, and the first prize of the 2001 Coleman Chamber Ensemble Competition. Ms. Sakharova has performed at festivals including the Music Academy of the West, Festival International de Colmar, the Verbier Festival & Academy, Keshet Eilon Violin Mastercourse, Kneisel Hall Chamber Music Festival, and the Bowdoin International Music Festival. 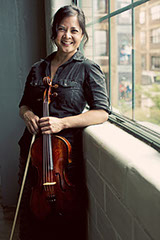 Currently, Ms. Sakharova serves on the violin faculty at the University of Missouri-St. Louis. As a dedicated educator, she has conducted master classes at the University of Iowa School of Music, Alabama School of Fine Arts, and Birmingham Southwestern College. She has also taught and appeared on stage at the Green Mountain Chamber Music Festival, Music Mountain Chamber Series, Madeline Island Music Camp and the Femusc Festival in Brazil. Her residencies include the Peabody Conservatory, Oberlin College, Northern Illinois University, and Northwestern University. At the 2014 American String Teacher Association National Conference in Louisville, Kentucky, Ms. Sakharova, along with the Arianna String Quartet and her husband Clay McKinney, presented on the topic “Build a better phrase, build a better ensemble. Mapping the bow to achieve destination." The Arianna String Quartet is Ensemble-in-Residence at the Touhill Performing Arts Center in St. Louis, where they present their own series of concerts. Ms. Sakharova plays an 1819 Rafaelle and Antonio Gagliano. 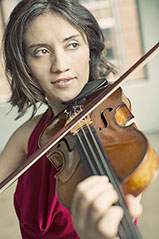 Noted for her "lush, sonorous and assertive tone" (NY Stringer Magazine), and "eloquent phrasing" (New York Concert Review), violist Joanna Mendoza has performed throughout North America, South America, Europe and South Africa and has given master classes in Beijing, China. Summer festival appearances include Interlochen Arts Camp, Madeline Island Music Camp, Killington Music Festival, Mammoth Lakes Chamber Music Festival, and Bellingham Festival of Music. Joanna Mendoza is the violist of the Arianna String Quartet and Associate Professor of Viola at the University of Missouri - St. Louis. Their national and international performances have been praised for their “emotional commitment and fluent virtuosity,” (Pretoria News) and “tonal warmth, fastidious balance…expressive vitality” (Chicago Tribune). The Arianna Quartet can be heard on National Public Radio’s “Performance Today,” and “Live from Music Mountain” which broadcasts to 125 stations in the U.S. and to 35 countries. Current projects include a long-term, multi-disc recording contract with Centaur Records and a concert tour in South Africa in August 2013. 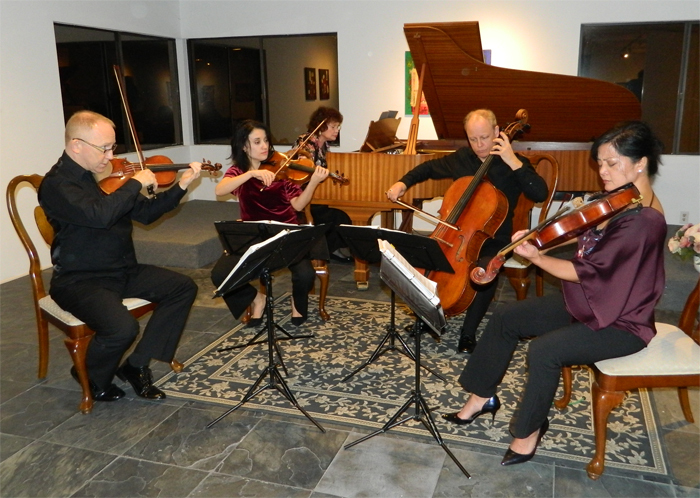 Prior to joining the Arianna Quartet, Ms. Mendoza performed with the Harrington String Quartet for 10 years. During that time, they premiered “String Circle,” a viola quintet by composer/violist Kenji Bunch, commissioned and written for Ms. Mendoza. The Harrington Quartet was featured in a PBS television documentary, “A Sound Collaboration-The Harrington String Quartet,” and recorded the complete string quartets of Daniel McCarthy on the Albany Record label. Kurt Baldwin is Associate Professor of Music at the University of Missouri, St. Louis, where the Arianna String Quartet has been in residence since 2000. As a founding member of the Arianna String Quartet in 1992, Mr. Baldwin has been awarded the Grand Prizes at the Fischoff Competition, Coleman Competition, and Carmel Competition, and was a Laureate at the 1999 Bordeaux International String Quartet Competition. Mr. Baldwin has concertized throughout the United States, Canada, Mexico, Italy, France and Japan, has been heard in live radio broadcasts in over 30 states and on NPR’s “Performance Today”, and has recorded for the Albany, Centaur and Urtext classical labels. He has collaborated with members of the Tokyo, Cleveland, Juilliard, and Vermeer quartets, as well as Richard Stoltzman, Bernard Greenhouse, Gilbert Kalish and James Campbell. He studied with Janina Ehrlich at Augustana College, received his bachelor of music degree from the San Francisco Conservatory with Irene Sharp, and earned a master of music degree from the New England Conservatory, where he was a student of Bernard Greenhouse. Mr. Baldwin also holds a Performer’s Certificate from Northern Illinois University, where he studied with Marc Johnson and the Vermeer Quartet.